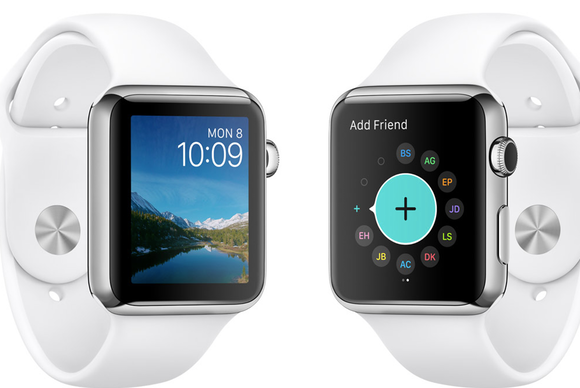 Having 15,000 wrist-sized apps available has taught us something: most Apple Watch apps just aren't very good. Our devices are defined by the apps they run. Give an iPhone user a factory-fresh device and they’ll instantly hit the App Store to download their favorites: Tweetbot, Camera+, 1Password, Candy Crush. When the iPad Pro launched late last year, it needed apps like Procreate and uMake to illustrate just how remarkable its pressure- and tilt-sensitive powers are. 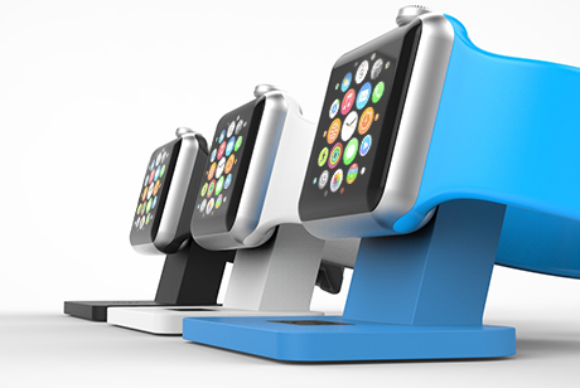 So it makes sense that Apple Watch would have them too. 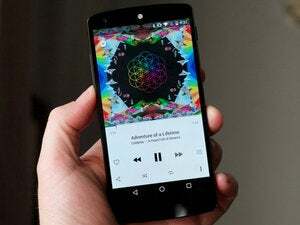 From the moment it was available for sale, thousands of tiny apps have been available to load in wrist-sized chunks, offering small bites of information to tide us over until the next time we unlock our iPhone. All of our favorites are there, all appropriately scaled for a less-than-two-inch screen. 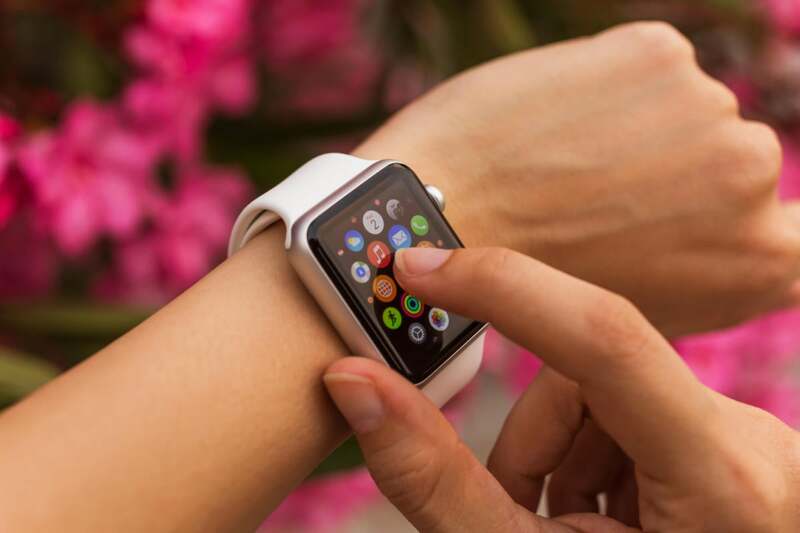 But while there may be some 15,000 apps ready for the wrist, few if any are required installing. Even the apps that are essential on our iPhones or iPads are easily forgotten on our watches, forever lost in a spanning sea of circles on the tiny home screen. It could be that the Apple Watch platform is so new, so unique that it needs more time to mature, but it’s been more than a year since the first SDK landed in developer’s hands, and apps being released today aren’t all that much better than the ones that landed on launch day. I think the answer is simple. The iPhone and iPad need apps. But the Apple Watch doesn’t. Had it not been for a giant change of heart, the mobile landscape might be a whole lot different. When the iPhone was unveiled, you may remember, it had 15 apps, all of them made by Apple. And Steve Jobs had no intention of changing that; during its introductory keynote, he touted the security and benefits of developing for its built-in Safari web browser, demarcating a clear distinction between mobile and the Mac. But by the end of its first year, Steve had seen the light. Not long after the first SDK landed we all had a set of indispensable apps on our iPhones, and those games, tools, and utilities showed off not just their own capabilities but the power of the device itself. The App Store became an extension of the iPhone, and every time an app like Paper or Letterpress came along, Apple’s device became just a little more magical. One of our first complaints about the Apple Watch was too many tiny home screen icons you couldn’t hide or delete. Apple Watch had the opposite problem. Apps were installed even before most people knew how to operate the new device, with the expectation that the experience would be similar to the iPhone or iPad; the apps we loved on those bigger device would naturally be the apps we’d love on our new one. But where apps are interactive and fluid on iOS, on the Apple Watch they’re little more than snapshots. News apps are reduced to headlines, weather apps are distilled to basic stats, and most of what makes them unique and identifiable is stripped away. And that’s not to mention how difficult it can be to even get to them. On my iPhone, I can probably close my eyes and still navigate to my 10 most-used apps. All day long I’m effortlessly jumping from one app to the next, and every iOS improvement is designed to facilitate that very process. No matter how many great features Apple has planned for iOS 10, the most utilized will always be the ones that help us interact with our apps as quickly and efficiently as possible. On my Apple Watch, opening apps is a bit of a chore. If I initiate an interaction at all, I generally stick to Glances, and when I do enter the home screen, I can barely remember where anything is. And switching between them is even more arduous. I’m not saying everyone has this problem, but I think of myself as a fairly experienced user of electronic gadgets, and I avoid the app screen at all costs. Maybe the button below the Digital Crown could let you access your 12 favorite apps rather than your 12 favorite contacts. A possible solution might be to allow the side button to access your 12 favorite apps rather than contacts, but while the shortcuts would at least cut down on the amount of fumbling users need to do to open an app, it wouldn’t solve the biggest problem facing Apple Watch apps: speed. Granted, they’re loads better than they were before watchOS 2 delivered native independence, but Apple Watch apps are still dreadfully slow to open, compared to their iPhone counterparts. And that may be the biggest obstacle to serious usage: On average Apple Watch apps take several steps to get to and several seconds to open, and in a world where instant is the norm, that’s just too long, especially when you’re only getting a stripped-down, feature-poor version. Wearable devices have a long way to go before they’re considered mature, and it could be that apps aren’t the answer, at least not in the traditional sense. The things that Apple Watch excels at–notifications, fitness tracking and obviously time—are all things we can enjoy without ever ending to open an associated app, and I think this is the sort of integration that will bring it to the next level. WatchOS is the first truly new platform for Apple since the iPhone, and with that comes a new set of rules. With the iPhone, Apple had to trim our interactions from hours to minutes, but with Apple Watch they get concentrated to seconds. Using it shouldn’t be any more strenuous than wearing an actual wristwatch. Case in point: My favorite moments with my watch are the ones when I don’t need to actually touch it; get a tap, lift my arms, read the notification, lower my arm. Very infrequently do I immediately take action. Apps to access physical things like an August door lock or my Hyundai should pop up on the screen when I’m going to need them, like how that Starbucks icon appears on my iPhone’s home screen when I’m nearby. But most watchOS apps aren’t designed for these sort of actionless interactions. Apps like CNN or Fantastical may do a fine job of pushing headlines and appointments, but for the most part, Apple doesn’t let them embrace the things watchOS can do better than iOS. As it stands, notifications and alerts are merely an extension of the iPhone, but as Apple Watch matures, that system will become smarter and more independent. For example, one of the apps I do use, Hyundai’s Blue Link, lets me start my car remotely wherever I am. Each time I need to go through the same process—press the Digital Crown, find the app, wait for it to load, tap “Remote Start,” enter my pin and wait (and that’s if it works on the first try). Going through all of these steps, especially while walking in the freezing cold, I can envision a time when Apple Watch will be able to learn my habits and simply “ask” if I want to start my car by extrapolating an IFTTT situation based on the time, my location and the temperature. 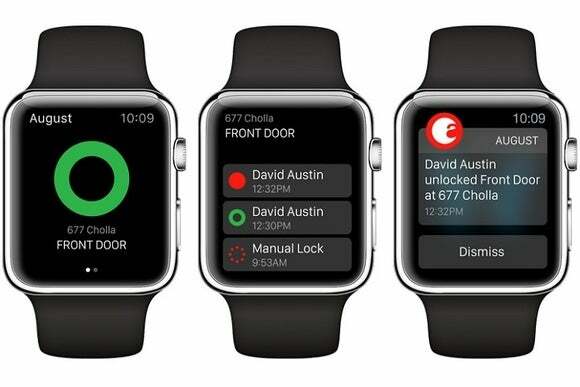 To go beyond apps, Apple needs to open watchOS in a way it hasn’t done with iOS. Integrating Siri across all apps and services is key, but so is the ability to set default apps and customize how notifications appear on each device. There may be thousands of Apple Watch apps in the store, but I only need a few to get through my day, and mainly I just want timely, necessary information delivered to me. More customization options for every app's notifications would encourage me to use more apps. I haven’t opened the Mail app on Apple Watch in months, but I get notifications many times a day. If my Apple Watch pinged me every time I received an email (like I have it set on my phone) I would have turned it off ages ago, but the ability to independently distill alerts to just my VIP contacts makes it feel more personalized. It’s more like a service than an app, and the same should be true for all the notifications I receive: Messages, NBA, Dark Sky, etc. This is Apple Watch’s greatest strength, and its evolution needs to embrace control over notifications for all apps, not just Apple’s. It’s kind of like the way Amazon treats Echo. There’s no interface or app store; you just ask it something and it delivers. Siri on Apple Watch is so good, I should be able to ask Blue Link to start my car or query Dark Sky about rain patterns without wading through a pool of icons. 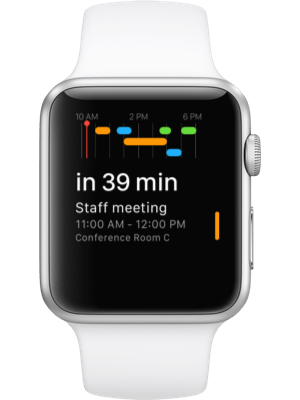 Apps on Apple Watch should be little more than background process and services, always ready to deliver the information at a glance, exactly when we need it. You know, kind of like a watch.